Investing in single-family homes versus multifamily represents two completely different business models and required operational management. They are not the same at all. Multifamily, with the potential for higher rewards, moves at a completely different velocity than does single-family. John Wilhoit: [00:00:00] Hi this is John on John Wilhoit On Real Estate. I have with me today Darsweil Rogers of Cape Fear Partners. Darsweil Rogers: [00:00:09] Hey John. Pleasure to be with you. John Wilhoit: [00:00:11] Darsweil and I have known each other many years. He is a managing partner of Cape Fear Partners in the southeast. He’s an executive coach and consultant and has a radio program. That’s why we have him here with us today because he’s very good at extracting information from unsuspecting guests like me. But in this case, we know our topic and we know what we’re going to discuss. 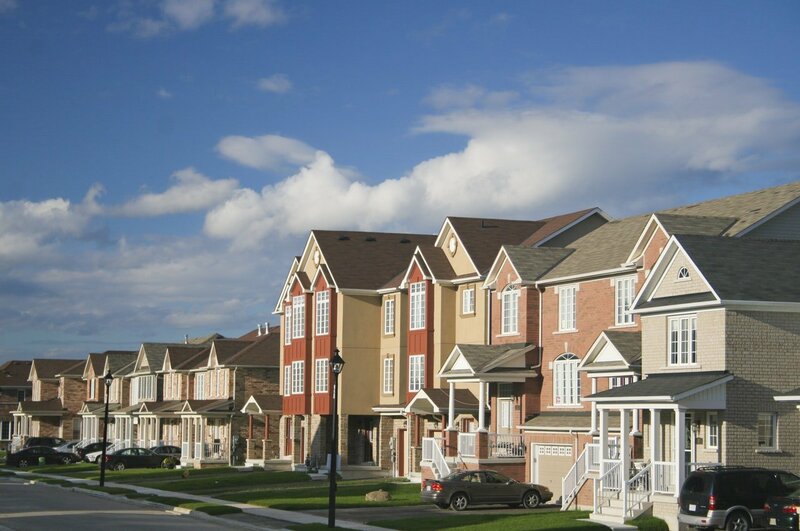 Today’s topic is moving from single-family to multifamily investment. How would you like to start, Darsweil? Darsweil Rogers: [00:00:39] Yeah I think I’d like to start with this basic premise that anyone who’s followed your information on JohnWilhoit.com knows that you’re not an advocate for people buying single-family houses. But when I find is when people decide that they want to own multiple houses, they buy multiple single-family houses versus buying multi-family. Help explain why one would want to buy multi-family, meaning, where are all the units you own are in one place and they are apartments versus owning multiple single-family houses. John Wilhoit: [00:01:20] There really is a difference in that business and that difference has to do a lot with scale. When we’re talking about single-family it’s very difficult to build a portfolio of single-family (notwithstanding institutional buyers). I’m not suggesting it can’t be done or that it’s a negative to do so but it is a stretch to buy 10 single-family homes as compared to one 10-unit multi-family building. It’s a completely different business. Darsweil Rogers: [00:01:46] Why is it hard to do the 10 single-family homes? Why? And why would you advocate one versus the other? John Wilhoit: [00:01:53] The real reason is because of economies of scale. Once you start buying single-family they are very likely they’re going to be scattered site. Would you concur? John Wilhoit: [00:02:03] They’re not going to be right next to each other. Any single maintenance call is just a maintenance call. But as soon as you have two maintenance calls in the same day, then someone has to go to two different places just to address those everyday maintenance calls. The economies of scale start out from the very beginning when you’re transitioning into single-family versus multi-family just for that reason alone. Darsweil Rogers: [00:02:29] You know one of the things that you said, you’ve suggested, is that people get into the business of real estate investing by owning a home. The notion is you go from owning your own house to consider multi-family. And I think the initial push-back would be I don’t have the money to buy two-units or buy four-units, right? So talk about your philosophy on investing in multi-family when a person says I can’t afford- it would be what?. John Wilhoit: [00:03:01] If you’re going to buy multiple properties that’s likely where you’re going to end up. If you haven’t bought any property yet, as Darsweil has suggested, I’m an advocate for home-ownership. The home-ownership rate in this country, in the United States, has dropped since the recession and it’s only now starting to recover just a little bit. There’s a lot of people that would benefit financially if they were to buy a home for themselves. That home could be a condo, a duplex, it could be a town home, or a single-family home. It doesn’t have to be a single-family home with a two-car garage. A homeowner can purchase a home in a lot of different types of housing. [00:03:43] Aside from home-ownership, the reason to look at real estate as an asset is because in a portfolio, if you have a portfolio of size, and let me just use a hundred thousand dollars as an example. If that’s your net worth, a certain percentage of that asset base should be in hard assets, right? And I’m an advocate for real estate as being one of those hard assets. [00:04:40] If it’s occupied then you have rental income. If it’s not occupied, you have zero income. With multifamily units, that are larger (in terms of rentable number of units) than a single-family, a duplex triplex or four-plex (on the small side) then if there is some vacancy then it’s just that; there is some vacancy. Yet you still have revenue for paying the expenses including the mortgage. Darsweil Rogers: [00:05:05] You talk a lot about when you have several single-family homes any time there’s a maintenance call you’ve got to go more than one location in order to deal with it versus if you own multi-family in one place. Share more of the concept, or the ideas, around having that consolidation. What are the key things that from a cost point of view are more manageable? You mentioned maintenance. What are the other things that are significantly more manageable when it’s multi-family? John Wilhoit: [00:05:42] Even with small units, and when I say small I’m referring to property with less than 100 units. There are many instances of course, lots of people that have the duplexes 4-plexes, 10 and 12 and 24 unit buildings, 48 unit buildings. With multifamily, the primary positive to having multiple units is that all of that activity within your portfolio, if it’s a single multifamily property, is occurring in one place. You don’t have to go from place to place to address the asset. [00:06:18] With single-family, if you have four single-family homes you have 16 exterior walls, right? Each single-family home has four walls, it has windows all around and perhaps grass to mow or landscaping to accomplish on all of those. When you put all of those into a single place there are four walls, maybe there’s eight if it’s two buildings. There’s one place for landscaping. There’s one place for clean-up. If there’s maintenance calls or management issues of any sort, or even with respect to leasing, there’s one place that all of that occurs and that’s at that one property. Darsweil Rogers: [00:06:56] People don’t typically think about having a property manager if they own a single-family house or even multiple single-family homes. You’re a big advocate for having property managers. Explain the idea of not managing this yourself. John Wilhoit: [00:07:14] Being an owner of real estate doesn’t necessarily mean you have to be a manager of real estate. It is a separate profession. And I say that with all respect to the profession. People that are in property management- that’s what they do full time. If this is your first investment, even your second or third, and you think you know a little bit about property management that is probably true. You probably do know a little bit about property management. Being an owner of real estate doesn’t necessarily mean you have to be a manager of real estate. [00:07:42] It’s hard to compete against that 10-year professional property manager. That’s who you are competing against! They have all their systems, all their structure, all their forms in place, If you’re looking for a new resident, or tenant, and they’re looking for a new resident, or tenant, guess who’s going to win most of the time? So instead of fighting that uphill battle, it’s better to utilize the services of a professional property manager because as much as it is an expense, at the end of the day you’re likely far ahead if for no other reason than because they work full-time in the business. [00:08:15] If you are the property manager, then you are on call 24-hours a day. It doesn’t matter what you’re doing if there is an emergency. It’s up to you to stop, look and listen and potentially go to the property at the drop of a hat. That’s not necessarily something a new property owner is willing or accustom to doing. They think they made an investment. Well you did. But if you’re also going to be the property manager then you’ve also signed on to be responsible for emergencies whenever they occur. Darsweil Rogers: [00:08:50] When you think about owning multiple properties that tends to translate into a larger purchase price. A lot of folks will say I can afford to buy a single-family house but I can’t afford to buy four-units, eight-units by myself. This leads us into the whole question of having partners. Multifamily in partnerships is something that you’re an advocate for. Talk about how something like that would come together. I mean how would you do it? How do you manage through the questions? Because you need so much more capital, so much more invested dollars for multifamily. John Wilhoit: [00:09:41] I’m going to split that question into two parts because, first of all, I’m not necessarily an advocate of partners, I’m an advocate of being careful with partners. Along with that I’m an advocate for assuring that if you’re buying an asset with partners that the asset is purchased in the name of a single-asset entity, generally an LLC, but it could be some other form. I’m not necessarily an advocate of partners, I’m an advocate of being careful with partners. [00:10:04] Let me get back to the first part of the question which was “I can’t afford to buy X by myself.” If you are not a homeowner, then you have the option of buying a home or a duplex, triplex or 4-plex utilizing in residential mortgage financing. Meaning if it is a 90 percent loan-to-value loan that loan may be available to you even if you’re buying a duplex or triplex of which one of those units you are residing in as the homeowner. [00:10:34] In that scenario you’re becoming a homeowner concurrent with becoming a property owner. And as I suggested, hopefully not becoming a property manager; hiring professional property management to address those other units even though you reside in one of them. That’s how to leverage into your first property whether it is a duplex triplex or 4-plex. It just has to be four or less units to be able to gain access to residential mortgage financing. [00:11:03] The rules have changed a lot of course since the recession. It may be that you need an extra five percent cash down to purchase that multi-family, small multi-family, versus a single-family home. But that still does decrease the hurdle for getting into a rental property concurrent with becoming a homeowner. Darsweil Rogers: [00:11:23] I just want to go back to that question first for a second. So, if you’re going to do multi-family and you don’t have all the capital you were recommending that you purchase it in an LLC, or some legal. What are some of the other elements that play out? I think in the past you’ve suggested questions about control and making decisions and things of that nature. Spend some time on that. John Wilhoit: [00:11:51] Sure. If you’re investing with other people, beyond the dollars, there are personalities and there’s competing interest and potentially competing outcomes that are everyone is in a deal for. Those have to be in alignment (the transaction) to even be of consideration. John Wilhoit: [00:12:12] But along with that, I recommend, and I say this throughout most of the content that I produce, that you as an individual investor, or even as a homeowner, you need to have your own team that’s beholden only to you. It’s fine to have a real estate attorney for the partnership, or for the LLC (Limited Liability Corporation). But you also need to have your own counsel and that counsel is exclusively on your team. …you also need to have your own counsel and that counsel is exclusively on your team. [00:12:40] Counsel will guide, suggest and make recommendations for you that’s in your interest. If you can get everyone in alignment with how the assets should be purchased and how the asset should be run and discussion about when the asset should be sold (even before you buy it), if you’re in agreement on those larger points, then there’s some higher probability for success assuming that there is a single point of control for the asset. [00:13:10] Someone has to be in control and that person, or law firm, or property manager, or asset manager, has to have confidence that the decisions they make will be implemented. If they’re always going to be second guessed with questions and dissension then you shouldn’t even start. You shouldn’t even buy the asset with partners if it’s going to start out that way because it’s going to continue that way. Darsweil Rogers: [00:13:34] You’ve placed a lot of focus on having a property manager. How should somebody go about getting a good property manager? John Wilhoit: [00:13:46] I will give you two barometers here. One is if it’s an asset where the population is small, meaning less than 40,000 people within five miles of the asset, then you’re not going to have a lot of selection in terms of property management and vendors for that asset. As the population density increases then you’ll have more choice. [00:14:07] You want to find property managers that are already in the marketplace, that are already servicing other clients or properties within the marketplace. When I say marketplace, I should use the term sub-market because every market has sub-markets. I always use Dallas as an example because it’s very well defined market. Dallas has about 38 sub-markets and there’s certain property management companies that only work in a handful of those sub-markets. Meaning they know those markets very well already. They already have their systems in place. They have their maintenance staff and vendors servicing that same area. You are, in essence, getting into their flow of business when you hire a property management company that’s already in operation there. You are, in essence, getting into their flow of business when you hire a property management company that’s already in operation there. [00:14:55] If you bring in a newbie (property management company), even though have been in business 20 years, but they don’t already operate in that market, then they’ve got to start from scratch. They have to find everything from a plumber to a landscaping company from scratch. [00:15:09] Find a company that has a presence there (in that sub-market) and then ask for referrals of course. Ask them about their scale. Ask them what property management software they use and what reports they will present to you on a monthly basis and end of year. Make sure that they’ve got the capacity to do those reports. Ask for samples. [00:15:29] Make sure that they’re OK with your property being in their portfolio. If it’s a property management company that has two hundred units all for one other owner and you come in with 20 units, that means you’re not going to get much of their attention. If it’s the property management company with 400 units and 10 different clients, they’re accustomed to everyone having 30, 40, 50-units and you’ll likely be treated just like another one of the gang. Darsweil Rogers: [00:16:00] Are there designations in property management business and if so do they really play in your mind into the question as to whether or not you should be hiring them to manage your multifamily property? John Wilhoit: [00:16:13] There’s a handful of designations, CAM designation (Certified Apartment Manager), RMP designation (Residential Management Professional). Those designations are for on-site personnel. You know they understand the tenants and structure of operating an asset. I don’t put a lot of stock into them. They certainly do not do any harm. I don’t think they are a necessary component of finding a quality property management company. [00:16:43] If you’re looking to hire a person (versus a property management company) you probably want them to have a designation or education or experience in property management. If you are hiring a property management company, you’re hiring the company as a whole and not one individual. Darsweil Rogers: [00:16:58] The question that I run into people that are real estate investors, this question, I shifted to property management, in terms of its transition from single-family and multi-family. I think that people are sensitive to that cost. They’re like, if I do this myself then I’m having more money, I’m making more money. Is there something, you probably can’t give me a tangible answer, in terms of numbers, but what’s the real benefit? Convincing people that you need to go ahead and incorporate into your decision-making the fact that you’re going to pay for a property manager and not do it yourself. That’s a decision, in my mind, that you need to make on the front end of the transaction to see if that cost fits. John Wilhoit: [00:18:00] Let’s use an atypical 24-unit apartment building. The man and woman that have purchased this 24-unit apartment building, they have had 10 single-family homes for a number of years so they think they understand the property management business. And they do, from a single-family perspective. And now they purchased this 24-unit building and they’re saying we’re going to manage this ourselves because we understand the business and we’re just adding this to our portfolio. [00:18:29] Even with something as small as 24-units, there are massive changes in the pace of things that will occur. Those 24-units will take more time than the 10 single-family homes if it’s not done (managed) on a professional basis because of the scale and the dedication necessary to address that asset on a 24-hour basis. And that’s probably the biggest difference. [00:18:59] When you bring in property management they are ready, prepared and trained to do so. If you’re a small property owner, going from single-family and multi-family, most people are not prepared for the pace of change. They’re not accustomed to 24-hour calls for minor issues. But yet, no matter how minor the issue, that call still needs to be responded to/answered in a timely fashion. [00:19:24] If someone calls and says “I’ve got something going on in my unit” that doesn’t tell you enough information. It could be that there’s a gas leak and they weren’t cognizant enough to tell you, hey, there’s gas leak. They just said there’s something going on. Someone has to investigate. It doesn’t matter the time, day or night, when that occurs. There needs to be people available to do so. When you start talking about multifamily, particularly of scale, then it is an operating business that requires 24-hour care and the willingness and then the necessity of addressing the asset, whatever occurs, in a timely fashion. [00:20:04] That’s what single-family owners are not accustomed to doing. if they’ve got two or three houses, or four or five houses. There’s not a whole lot that goes on there in a time sensitive nature. Certainly, things can occur. In multifamily you have a lot of people living in a small space as compared to single-family- there’s interactions that occur around the clock. On smaller multifamily properties, they really cannot support a full time on-site property manager. There’s not anybody there all the time, to basically, keep tabs on things. And that’s where the disconnect comes in between the single-family owner going to multi-family: they have to understand the pace of change is exponential. It’s much faster and requires faster response times. Darsweil Rogers: [00:20:55] Well John I’ve covered my questions about transitioning from single-family to multifamily. John Wilhoit: [00:21:00] Thank you for today Mr. Rogers. You can find Mr. Rogers at CapeFearPartners.com. He’s an executive coach and consultant. [00:21:08] Thank you for listening today. This is John Wilhoit on John Wilhoit On Real Estate.